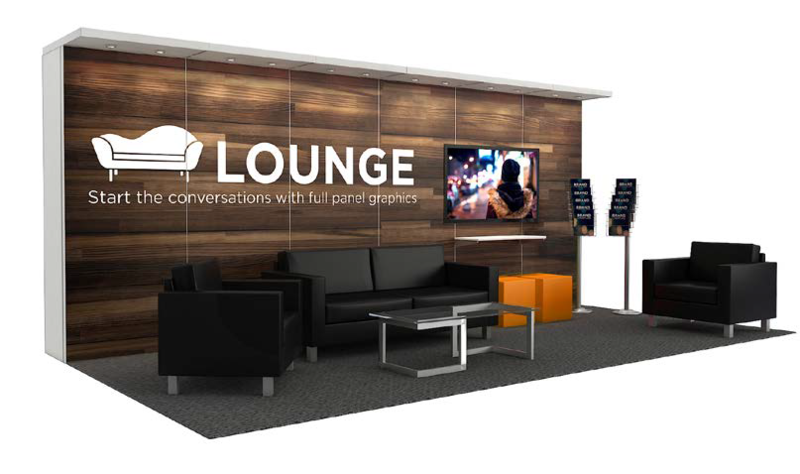 Lounge settings promote personal connection and creative thinking. More companies are offering these environments at work — why not on hectic expo floors? This set-up features exceptionally comfortable seating, a coffee table, seat cubes, a literature rack, a print back wall, and an optional monitor for brand and product video loops.